I’ve read all three websites about this quest and am still stuck. I have two screenshots to upload. I have verbal permission from the blue fairy but I’m assuming I need a letter or scroll? The room adjacent to her room, after I’ve flown up but before I get to her actual room, has some shelves, but I cannot figure out how to get to them. Every step forward jumps me to her room where I’ve gotten the verbal permission and some random scrolls on her shelves. I can’t crack those pillars either. 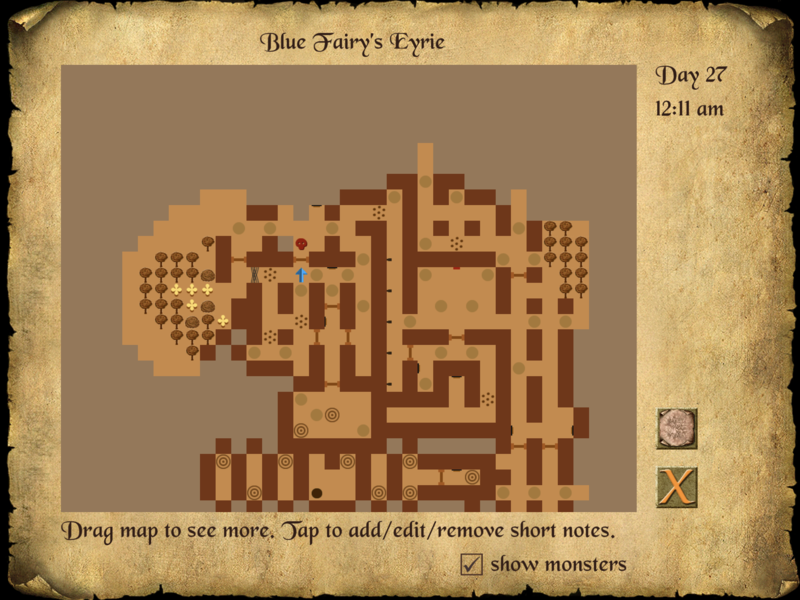 I’ve used the fairy shaft and the great pole axe... How do I get back there? Also, one water fountain does nothing, the other gurgles. Do I need to do something there? 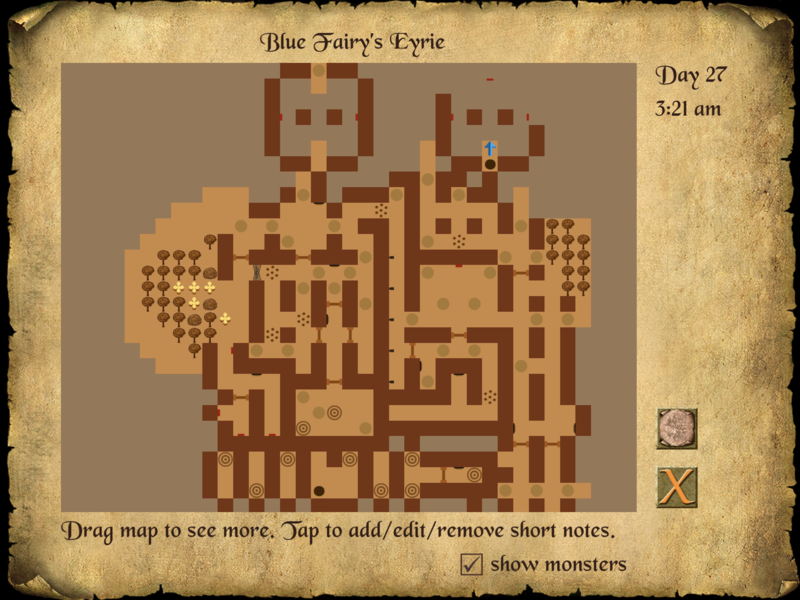 Update- looks as if I’ve killed that chalk skelly but still can’t get past pillars. Not sure if I need to or not? All you need is her permission. That's enough. To get to the shelves in your first pic, you need to drop the fairy wings from your inventory. Don't forget to pick them up again so you can fly up if you need to. I'm not exactly sure where the pillars are you're trying to crack but maybe they're not crackable? It looks to me like there are some crackable walls there. The fountain that gurgles--you can find a ruby. If the well that does nothing is just a well that does nothing. Just decorative.